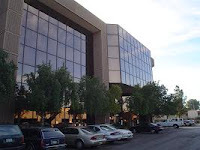 June 18, 2008 - Phoenix, AZ - The American Medical College of Homeopathy located off of 20th Avenue and Camelback in Phoenix, recently opened the doors to its new fertility research clinic. The clinic works one-on-one with couples experiencing difficulty conceiving and who are searching for a gentler, more affordable alternative to in vitro fertilization and traditional methods. • A safer, gentler approach when compared to in vitro fertilization which may cause severe side effects, ovarian stimulation, multiple pregnancy and ectopic pregnancy. • A six-month treatment package consisting of an initial consultation and evaluation, 24 weekly acupuncture treatments, and six monthly herbal and homeopathic medicine treatments costs $3,500. • A strong focus on patient-centered medicine in which patients are treated and supported on all levels of their being including physical, emotional, mental and spiritual dimensions throughout the conception process.